Shannon Platt is a partner and the national head of the IP and technology team. She is also head of Sparke Helmore’s corporate and commercial group and a member of the firm’s executive committee. In 2016 Ms Platt won Lawyers Weekly Women in Law Awards Partner of the Year and the Intellectual Property Partner of the Year; and was a finalist for the same categories in 2017 and 2018. She was awarded Patent Litigator of the Year (NSW) at Acquisition International’s 2016 Intellectual Property Awards, and has been recognised as a leading IP lawyer by AsiaLaw. 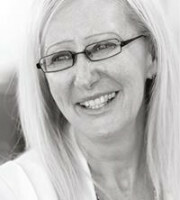 She specialises in brand protection, IP litigation and IP commercialisation, and advises on the registrability of trademarks and designs, as well as on brand protection, technology licensing, trade promotions, advertising clearance, ICANN clearing house services and IP commercialisation. She manages a number of national and international trademark portfolios and acts in trademark opposition and non-use proceedings before the Trademarks Office. Ms Platt also has more than 20 years’ experience representing clients in infringement and revocation proceedings in the Federal Court of Australia for trademark, copyright, patent and design disputes, as well as litigation arising from misleading or deceptive conduct, breach of confidence and trade secret protection.